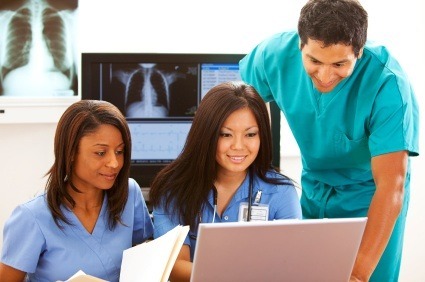 What is a Medical Billing and Coding Degree? Students and professionals who are interested in entering the rapidly-growing healthcare industry have many options available to them that do not require direct patient care. Medical Billing is a favorable option to consider with employment expected to grow faster than average and only an Associate's Degree or certification is needed for entry-level positions. * Medical Billing is not limited to an office - many medical billers work from home! For individuals who prefer to avoid direct patient care, entering the administrative end of healthcare, such as Medical Billing, is a popular alternative. Medical Billing is a valuable component of the healthcare system, as Medical Billing and Coding professionals act as the liaison between the provider, insurance company, and patient. Medical Billing requires a deep understanding of medical insurance billing, rules, and claims to guarantee doctors and hospitals are compensated for their services promptly and correctly. Since healthcare jobs, including Medical Billing, are on the rise, there is a strong emphasis on training and experience to land an entry-level position. While education requirements for Medical Billing range from a Medical Billing Certification to an Associate's Degree, employers seek to hire individuals with confirmation of their expertise. How can I get a Medical Billing and Coding Degree? In general, those employed in Medical Billing hold an Associate's Degree, which can be earned in two years. Typical coursework that supports individuals entering Medical Billing includes medical terminology, anatomy and physiology, health data requirements and standards, healthcare reimbursement methods, database security and management, and clinical classification and coding systems. According to the U.S. Bureau of Labor Statistics, Medical Billing technicians can earn between $24,290 and $39,490 annually. Salaries will vary, depending on the location and demand for Medical Billing.